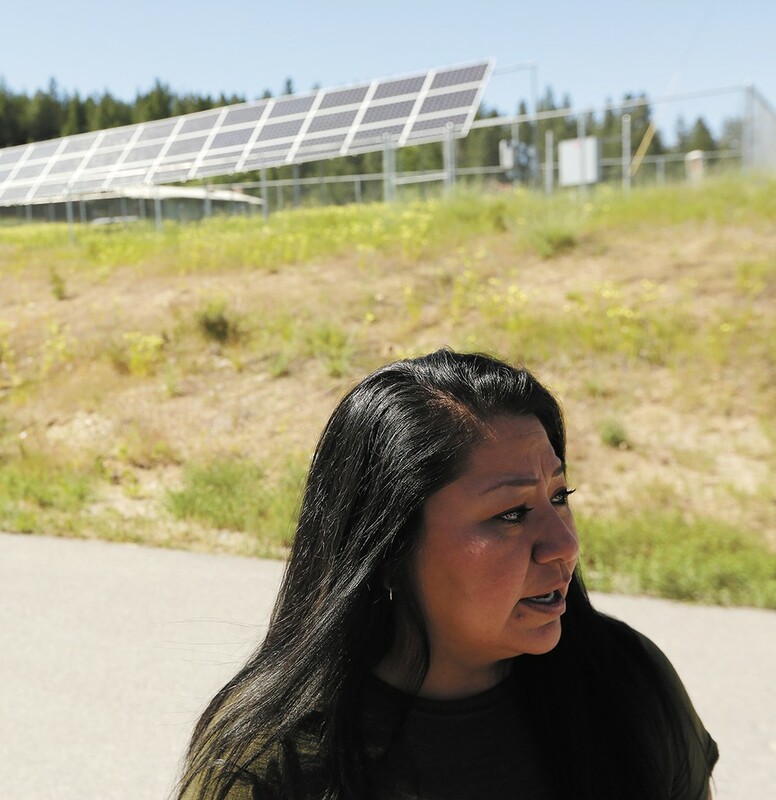 Maria Cullooyah, planning manager for the Spokane Tribe, is helping the tribe move toward renewable energy, like the community solar array behind her. As fields that will soon be filled with canola and grain fade from view and stands of conifers gain in number, Jason Campbell points his truck down a straight road where about a dozen homes are spread out on the east end of the Spokane Indian Reservation. With large lots and little to connect one house with the next, the tribal housing neighborhood feels disjointed — "boxes on the landscape that aren't reflective of our cultural values at all," Campbell says. This European-style grid is nothing like the circular, community-oriented design the tribe might have chosen in the past, explains the 45-year-old, who spent part of his childhood living with his father miles from here, near Wellpinit, at the heart of the reservation. It's March, and with the windshield wipers sporadically clearing rain from the glass, Campbell stops his truck outside one of the homes. There's an unlikely roof covering here: solar panels. Campbell helped lead the team that put them there, working with the nonprofit GRID Alternatives to train tribal members in solar installation and bring solar power to four low-income families. The work represents just a taste of the overhaul he envisions for the reservation. Where others see rooftops, Campbell sees skilled solar jobs. Where others see "slash" — the leftover woody debris from timber harvesting on the reservation — he sees the potential to heat communities cheaply and efficiently. Where others see the massive cleanup of a former uranium mine-turned-Superfund site, he sees equipment that's going to need millions of gallons of fuel that the tribe could provide in the form of biodiesel. In the middle of it all, he sees the opportunity to strengthen the tribe's sovereignty, create jobs, reduce poverty and build the nation. It's why Campbell came back to the reservation to help. These aren't just dreams. Big things are already happening. The tribe is working on plans to reinvent Wellpinit, the main town on the roughly 160,000-acre reservation, from the ground up. The tribe sees potential to revitalize the community with cutting-edge buildings and intentional planning that will center on making a more livable community. Soon, solar panels will be installed to provide power for elders' homes and other tribal government buildings there. Engineering work is nearly complete on a biomass heating project that will use wood waste to heat buildings in the town core. The tribe's work toward building a healthier, more sustainable town and nation earned them a Promise Zone designation in 2016 that comes with extra government support. The plans are being pushed forward with leadership from Spokane Tribal Chairwoman Carol Evans, the first woman to be chair; from Campbell, CEO of the tribe's energy company Sovereign Power; and from key players in and outside the tribe who want to set the reservation up for a brighter future. "One of our very core traditional values is stewardship, and commonly that stewardship is communicated in tribal communities as the principle of taking care of seven generations," Campbell says. "How do we do this in a way that promotes self-determination, that promotes sovereignty?" 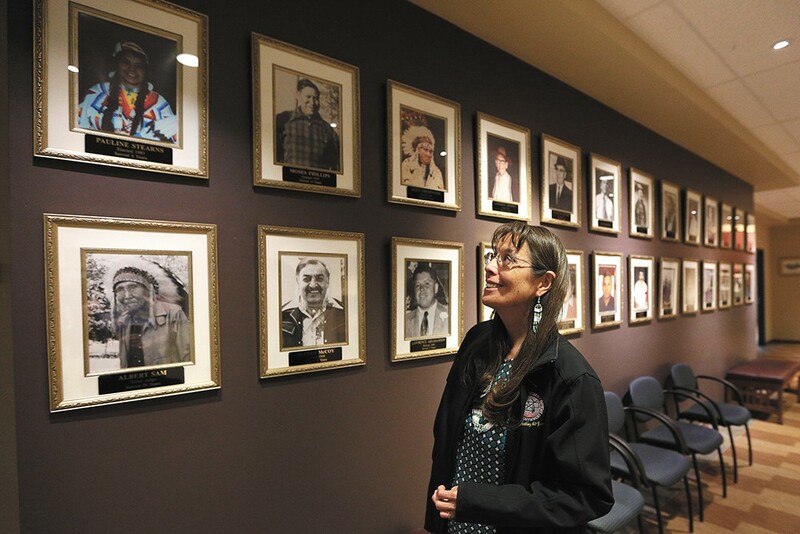 Carol Evans, tribal chairwoman, looks up at a picture of her mother, Pauline Stearns, the first woman to serve on the tribal council. The Spokane Tribe used to hunt, fish and live off more than 3 million acres of territory across northeastern Washington. Salmon — the lifeblood of the Salish people — were bountiful in the Columbia and Spokane rivers. Then white settlers pushed the Native Americans off their traditional lands. There were wars and hangings, treaties and sickness. In 1881, eight years before Washington became a state, President Rutherford B. Hayes signed an executive order establishing the Spokane Tribe's reservation on a fraction of their historic land. By 1887, all three bands of the tribe had moved there. By the time of a 1906 newspaper account, the tribe, once 3,000 members strong, had dwindled to about 600, largely due to illness. Then came the dams. Along came cheap electricity and irrigation, and away went the fish. The Little Falls Dam on the Spokane River, built in 1910, and the Grand Coulee Dam on the Columbia, built in the '30s and '40s, killed the salmon runs that had sustained the nations for generations. "All of our traditions, our practices, our lifestyles, evolved around the salmon," says Evans, the tribal chairwoman. "Then you can take that salmon away from a people, it's like you put them in shock. It's like trauma. And after generations of trauma, you need some healing." The trauma didn't stop with the dams. With the discovery of uranium on the reservation, the Midnite Mine was opened, operating from 1955 to 1981 and leaving behind radioactive pits, contaminating water wells, and adversely affecting the health of the tribal members who'd jumped at the opportunity to work there. 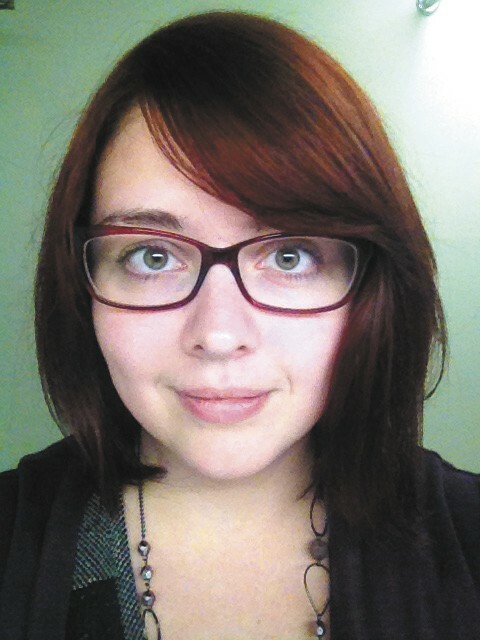 It was reading a news article about the Midnite Mine, and its lasting impacts, that prompted Campbell to come home. He'd been working in Boston, researching portfolios for a socially responsible investing entity, scrutinizing companies for their business practices and environmental compliance, when his sister sent him a story about the mine. "In the Spokesman-Review was a multiple full-page article on the Spokane Tribe and the legacy that the Midnite Mine had left in the community," Campbell says. "I'm a Spokane Tribal citizen. Obviously it's near and dear to me what's going on. So I reached out to our tribal chairman at the time, and just let him know there are alternative ways to getting traction with global companies like that than just trying to meet 'em head to head." He explained that by leveraging socially responsible investors through shareholder activism, the tribe could get a collective voice to use with Newmont, the company that now owns the mine and is working on the cleanup. "From that point forward, I started serving as a special adviser to the tribal council on all things socially responsible and sustainable, and really what that morphed into is helping the tribe create a lens of nation building, in a socially responsible and sustainable way," Campbell says. "How do we approach nation building in a way that's reflective of our historic cultural values of sustainability and stewardship and all those things?" In 2016, Campbell, who splits his time between Missoula and the reservation when he's not traveling for work, took over as CEO of Sovereign Power, the tribe's power enterprise. Sovereign Power is focused on developing a renewable energy model for the tribe that could include producing, transporting, marketing and selling power. Importantly, the renewable projects that Sovereign Power is spearheading are meant to bring the tribe more independence, free up cash currently spent on utility bills, and create work for some of the roughly 2,000 people who live on the reservation, where there's a 41 percent unemployment rate. While solar has been the easiest entry place for the tribe, they're "technology agnostic," Campbell explains. "Right now, because the incentives around solar are so good, and because it's so readily deployable, it makes sense for us to do that residentially, governmentally, in schools," he says. "If it turns out that wind is a viable option, that's the next place we'll look. If it turns out it makes sense for us to do geothermal, that's the next place." If they're ultimately successful, they'll be able to dramatically rewrite the story of Wellpinit. 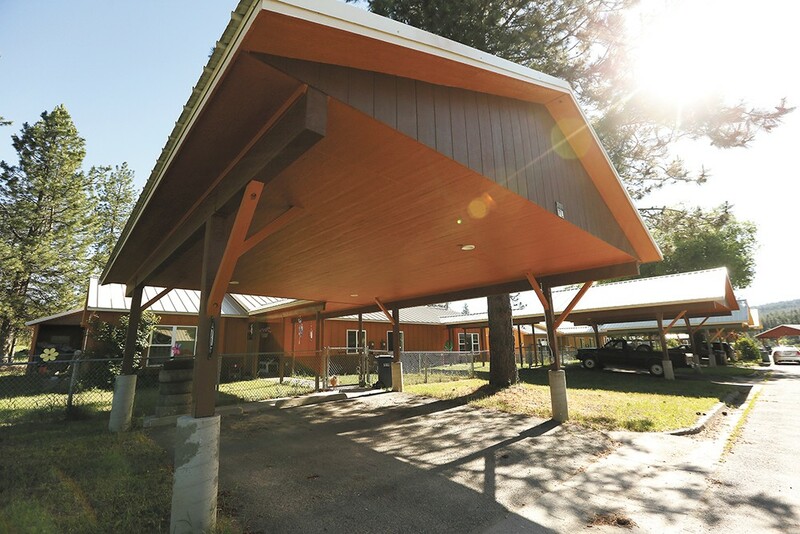 A $1 million grant will help the tribe install solar panels to power elder housing, shown here. The Bureau of Indian Affairs first opened its office in Wellpinit in 1913, and built up a grid of homes around its office in the core, mostly for federal workers to live in. For the most part, tribal members lived (and still live) in homes spread out across the reservation. In 1951, the tribe ratified its constitution and established its council and self-governance. Over time, the tribal administration, also located in Wellpinit, has taken control of many of the activities the BIA controlled for decades: forestry, the range, fisheries, health and social programs. Over the decades, buildings popped up around Wellpinit's small core with little to no consideration for the people who would be using the space. Part of the tribe's college shares space inside a "blue pile of tin" that's also a road maintenance garage, says Maria Cullooyah, current planning manager for the tribe, as she walks through the core, pointing out some less-than-ideal buildings. When the tribe needed to open a Head Start school for pre-kindergarten kids, modular/portable buildings were placed in the center of Wellpinit, just across the street from the BIA jail. With a limited-selection Trading Post, most tribal citizens take a more than 45-minute drive or bus trip away from the food desert to go to Walmart or another store in Airway Heights to buy groceries. Kids walk about a mile to school on the edge of a highway leading out of Wellpinit. There's no sidewalk, and barely a shoulder. To change that, the tribe is taking on something that was never done in Wellpinit: nation building in an intentional way. Around 2011, the tribe received $1.5 million from the federal Department of Housing and Urban Development to create a Sustainable Community Master Plan, and spent four years developing a plan with input from tribal citizens, looking at the nexus between housing, transportation, infrastructure and environmental goals, and how they might align to increase prosperity. From there, the Spokane Tribe partnered with the Make It Right Foundation to redesign the Wellpinit core. Make It Right, founded in part by Brad Pitt in 2007 in the aftermath of Hurricane Katrina, helps communities in need design, plan for and build more resilient and efficient places. Its staff has helped the tribe draw up new plans for the town core. While some pieces aren't yet finalized, and implementing the plan will likely take more than a decade, the Wellpinit redesign sets out to move buildings so they're located where they make sense. The entire town will be more walkable and community-oriented. The tribe plans to move the jail near the public safety building, and put a new Head Start building closer to the elementary school. They'd like construction of new buildings to follow LEED certification, making the buildings higher quality, more efficient and better for the environment. In the draft version of the plan, new housing is aligned along solstice lines — a suggestion that was made by a tribal citizen at an idea-gathering session. "It's kind of like the momentum is picking up and people are starting to get wind of it and come together more," Cullooyah says. "A sense of belonging is what we want to bring back." Infrastructure is being designed to include pipes in place, so new buildings can get steam heat from a new biomass plant the tribe is designing with Wisewood Energy, a Portland-based business. The plans also call to move the BIA offices out of the core. Cullooyah says she remembers seeing people in suits walk into the BIA office when she was younger and being curious. "As a kid I thought it was something awesome and great that we had," she says. "But as I grew up and learned about the Bureau of Indian Affairs and the meaning of why it was created, I was like, 'Oh, that needs to go — this group of people sent in here to manage us.'" To realistically achieve these goals, they will need funding. The tribe set itself up for success by achieving the Promise Zone designation, which comes with preference for federal grants and access to networks of partners who can help achieve their goals. In 2016, the tribe became one of only 22 Promise Zones around the country under a federal program started under former President Barack Obama. The program aims to help break generational poverty by focusing investment in areas that are working to change. The reinvention of Wellpinit was a key piece of the Spokane Promise Zone application. With the designation, the tribe is afforded two federal employees who work to advocate for them within agency offices in Washington state and Washington, D.C. They won the status in the nick of time: They'd been rejected the year before, and according to the HUD website, the tribe was one of nine zones named in the third and final round of the program. Although elements of the core revitalization are still being planned, small but meaningful changes are getting started. The tribe received a Safe Routes to School grant to install a sidewalk from the town core to the high school, so pedestrians won't have to walk in the road or the mud anymore. Another grant will help install more than a dozen bus shelters around the reservation, so riders don't have to wait in the rain and snow. Both will be installed in the next construction season or two. The Trading Post has partnered with Whole Foods to get guidance on how to better run the store. Since last year, old, inefficient coolers were replaced with new refrigeration. An entire aisle is now dedicated to fresh produce. The tribe also has several companies that are planning to expand and add jobs. There's a construction company to build new structures. A solar team will receive training this week on how to maintain solar projects the tribe already has. Another team is looking at bringing broadband and better phone service to the community. Sovereign Power is exploring the feasibility of getting into biodiesel manufacturing and other renewable ventures where the tribe might compete on the open market. "What's exciting to me is we're looking at creating jobs for our people and looking at projects that are good for the environment," Evans says. "If we can build that model and always remember to keep our language involved, our traditions, that's going to help, well, it'll help us heal." People like the tribe's Planning and Economic Development Director Mike Tedesco hope to help the tribe do just that. "How do you cure generational poverty in a way that's responsible and sustainable, and really does build a nation and build sovereignty?" Tedesco asks. "There are not necessarily easy answers to that, but what we agree on, what Jason and I and the tribal council agree, is finding those market-driven approaches where we're not just asking for another grant or partnership with a foundation." When wildfire swept through the reservation in August 2016, threatening to reach up the hill to Wellpinit, parts of town were left without power for almost a week. For vulnerable elders who need to refrigerate their medication or use power to run oxygen machines, that can be a significant risk, Campbell says. More than 14 homes and 20,000 to 30,000 acres were lost, says Tim Horan, executive director of the Spokane Indian Housing Authority. That followed a fire in 2015 that burned more than 50,000 acres on the reservation. "When you have two fires like that back to back, you want to prepare," Horan says. So the tribal housing authority applied to install a community-scale solar project that could provide power to elder housing, the senior center and the SIHA offices. The tribe learned June 22 that it had been awarded a $1 million grant from the U.S. Department of Energy for what Horan says they've been calling the "Children of the Sun" project, named after the meaning of "Spokane." As part of that work, the housing authority will install an approximately 637-kilowatt system to serve 14 community buildings and provide an estimated 24 percent of the community's total energy load, Campbell says. The system is projected to reduce energy costs for those buildings by at least $2.8 million over the 35-year life of the project. As the tribe looks at installing more solar, they could plan what's known as a microgrid, which is a system that generates power and can provide power parallel to the current grid (using power from the utility company when needed), or without hooking into it at all. "We're looking for better than run-of-the-mill solutions," Campbell says. Even if the Spokane Tribe were to tie a bunch of solar projects into the grid that exists, as the residential installations have done, that might not help in the event of a natural disaster. A microgrid, on the other hand, set up with power backups such as generators or battery storage, could be used to maintain service. "It allows you to produce the power where you're using the power, which creates a higher level of efficiency within the system," Campbell says. "It also allows for a layer of energy resilience." Eventually, if they develop enough energy production to provide power to everyone within the bounds of the reservation, Campbell says there's another major benefit they would be able to consider that a utility company wouldn't: They could move toward providing power for free. "Some of our low-income families on the reservation are in aged housing stock — they'll have $600-a-month utility bills to heat their houses," Campbell says. "I mean, it's unreal." It's important to mitigate those monthly bills, but it's also important to build smarter, he says. "It's all connected," says Campbell. "If you incorporate appropriate design practices, woven with cultural values and using cutting-edge materials around sustainability and efficiency, that's where you really get to overall sustainability and independence of the tribal nation." In March, the waters of the Spokane River are roaring through the Little Falls as Campbell takes in the view from a bridge above the dam. A little downstream is the spot where he used to go swimming on hot summer days. His dad built a house up on a flat stretch of land above the river, and Campbell remembers taking off during the summer with his stepbrothers to ride motorbikes and camp around the reservation for days at a time. "He'd come looking for us after a few days and make sure we had food," he says, smiling. He points out that the same dams that took away the tribe's way of life have a monopoly on the power system from which they're trying to free themselves. It won't be easy. To build new infrastructure in Wellpinit, the tribe first has to figure out new sewage and wastewater treatment, because their lagoon is at capacity. And the way forward seems to constantly shift as, say, fuel prices plummet, making investments in biodiesel hard to justify the cost. But there's more at stake here than just money, Campbell says. There are other metrics to consider: air quality, employment, environmental stewardship, and setting up future generations to be successful. The tribe has the opportunity to be a leading example of how to plan and build a more sustainable, independent community. There are a lot of projects he can't talk about yet because they're not finalized, but Campbell's excitement is palpable. His phone has been blowing up as he's been exploring how the tribe might get into large-scale power development.